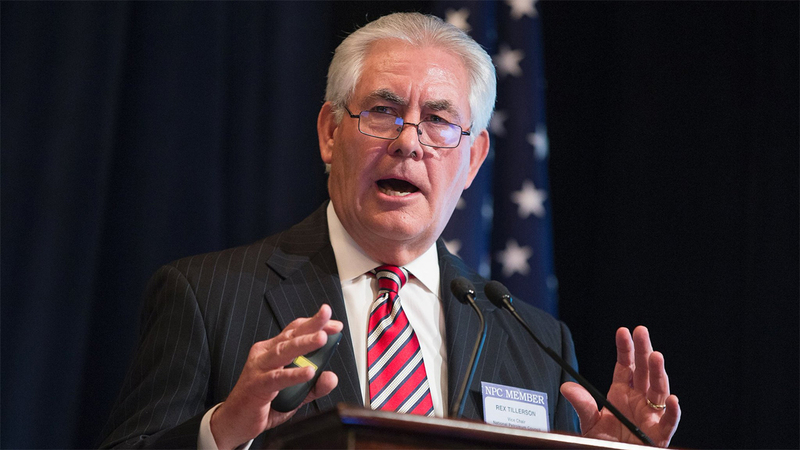 PALM BEACH, Fla. -- Secretary of State Rex Tillerson says President Bashar Assad should no longer have a role in governing the Syrian people after this week's chemical attack and the U.S. is evaluating an appropriate response. Tillerson said Thursday there is "no doubt in our minds" that Assad's government was behind the attack that killed dozens of innocent people in rebel-held northern Idlib and is deemed one of the worst attacks in Syria's civil war. Tillerson also issued a warning to Russia that it should "consider carefully" its support of Assad's government. He says the images of dead women and children "horrified all of us" and attacks of this nature cannot be tolerated. Tillerson made his remarks in West Palm Beach, Florida, after welcoming China's President Xi Jinping for a two-day summit with President Donald Trump.